This information could be used to determine which patients are most likely to benefit from additional therapies to head off the spread of the cancer to other areas of the body. With a new single cell analysis service in U-M’s Comprehensive Cancer Center, the researchers are making the necessary technology more widely available in the university system. They hope these “liquid biopsies” will be offered to patients within the next five years. Circulating tumor cells, representing only about one in a billion cells in the bloodstream, are largely untapped sources of information about tumors, but new methods are bringing their diagnostic value ever closer to patient care. Sunitha Nagrath, U-M professor of chemical engineering who designs devices that can capture these rare cells, led a team including oncologists and surgeons to explore how cancer cells escape tumors and travel through the body in the bloodstream. This is how metastases, or satellite tumors elsewhere in the body, are thought to form. Early-stage lung cancer patients, whose tumors may only measure a few millimeters in diameter, are typically treated with surgical removal of the tumor, but the study results suggest that this may not be enough. 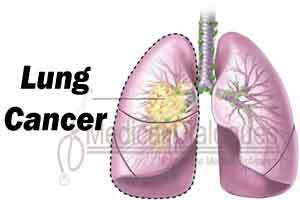 A handful of patients had tumors that were shedding hundreds or thousands of tumor cells into the lung. With a relatively small sample of 36 patients, the team can’t definitively say that an actively shedding tumor will lead to metastasis within a year, but Nagrath is exploring the predictive power of cancer cells drawn from the blood. In particular, the study showed that clusters of two or more tumor cells indicated shorter survival times. Six of the nine patients whose cancer returned during the two to 26 months of follow-up had circulating tumor cells appearing in clusters. “Ultimately, this method will help us look for and find potential markers for either metastatic spread or cancer detection,” said Rishindra Reddy, U-M associate professor of surgery who coordinated the blood samples and designed the study with Nagrath and Nithya Ramnath, an associate professor of medical oncology at the U-M Medical School. Genetic analysis confirmed that clusters showed higher expression of aggressive traits. They were better at moving, evading the immune system, recruiting blood cells to help them and resisting treatments. In other words, clustered tumor cells were better suited to spreading cancer to distant locations. “These are drivers of tumor progression and resistance, and they are more important to target with therapy,” Nagrath said. To gather the data underpinning these findings, the team took blood samples before, during and after tumor removal surgery. At each stage, surgeons collected blood from a vein in the patient’s arm, far from the tumor. Early in surgery, before disturbing the tumor, the surgeon also drew blood from the lung vein that drained from the tumor, where tumor cells are expected to be more concentrated. And they were as Vasudha Murlidhar, then a doctoral student in the Nagrath lab, showed by analyzing all the samples using a microfluidic chip of her own design. While tumor cells from the arm had a median count of around 1.3 per 3 milliliters, it was 7.5 per 3 ml of blood from the lung. Among the patients whose lung blood samples revealed hundreds or even thousands of tumor cells, the numbers fell sharply by the time the cells reached the vein in the arm. It couldn’t be explained by mere dilution. The researchers hypothesize that the larger clusters are getting stuck in capillaries — potentially the start of a new tumor — or that many of these cells can’t survive in the bloodstream. Nagrath is impatient to see liquid biopsy begin to benefit patients at U-M. Already, this study demonstrates that capturing cancer cells from the bloodstream can indicate which patients are most in need of a second treatment, such as chemotherapy, to go after the cells that have already dispersed in the body. It could also help doctors choose drugs that will be better at exploiting the weaknesses of these aggressive cells. Nagrath is advancing the technology at U-M by co-directing a new service arm within the Cancer Center. The new Single Cell Analysis Core will isolate cancer cells from blood using many different microfluidic chips, developed by Nagrath’s group and others. Evan Keller, a professor of urology in the Medical School, will lead the cell analysis techniques. This effort will primarily help cancer researchers better understand the disease for now, but Nagrath is hopeful that it won’t be long before liquid biopsies are part of routine patient care at Michigan Medicine. “With a simple blood draw, we can tell the dynamic state of the disease during the treatment and after the treatment, monitoring it closely. If something has to show up on a CT scan, it may already be too late,” Nagrath said. The study is titled “Poor prognosis indicated by venous circulating tumor cell clusters in early stage lung cancers” and will appear in Cancer Research.